Mark Shelton is considered one of the most dynamic performers with astounding vocal prowess that leaves audiences mesmerized in amazement. A career that spans multi-faceted venues, Mark has recorded several times in Nashville, Tennessee, releasing custom projects; has recorded and performed in Canada, on Cruise Ships, in hundreds of churches, schools, auditoriums, at festivals, on live television and radio, the Lake Champlain Maritime Festival, the Block Island Music Festival, Soulfest, and more! Mark Shelton has recently wrapped up recording his latest CD "Among the Stars" performing the hit songs of Frak Sinatra, Michael Buble, Dean Martin, Elvis Presley, Perry Como and more. Mark has received international acclaim as one of the best voices and renditions of Elvis hits ever heard. A stunning live performer, Mark Shelton was named 2007 "Best International Christian Male Artist" in the Toronto Exclusive Magazine in November of 2007 and described in Christian Music's "Relevant" Magazine and Celebrate Radio's Internet & Satellite Ministry as "one of the strongest voices we've ever heard with powerful lyrics and dynamic presentations, Mark Shelton is anything but your traditional performer." Audiences and venues consistently report that Mark Shelton's performances are considered among the best shows they have ever seen. But it is his incredible voice, strong and diverse, that leaves audiences in amazement. Engaging with that "Star" quality, Mark Shelton effortlessly moves from the 1950s to 1970s Elvis Presley songs mirroring the King of Rock n' Roll. He nails the songs by other artists of the era with such precision that people sometimes think they are listening to a recording and are breathless when they discover it is a live singer. It is truly impressive. Exceptionally diverse in his performances from small town churches to huge stadiums or festivals, you can also find Mark Shelton donning the cape of the Professional Wrestler "Archangel", raising the silver saber of the beloved Pirate "Captain Radical" as part of the Swimming Frog Interactive Children's Theater, bringing audiences to life stylishly swinging through the hits of the 50's and 60's during his highly sought after Sock Hops and tours; or at his impressive and theatrically creative Gospel Rock Operas featuring his award winning original material, contemporary christian hits and old time gospel favorites. Mark Shelton concerts display a flair for the dramatic. Interpretive dancers, audience interaction and theatrical aspects are a constant part of his shows. He once stunned an audience with two Harley Davidsons driving onto the stage filled with interpretive dancers with sword fighters in the aisles! If there is ever a chance to get Mark Shelton in your area for a concert, sock hop or children's theater, you should jump at that chance! Never a disappointment, always amazing, it is a memorable and interactive experience for all involved no matter what the adventure in performance he brings to your area. Contact Mark Shelton at worship@together.net or call 1-802-274-8050. You and your audience will be greatly pleased. 2009 - Finalist in Independent Singer/Songwriter Awards "Song of the Year" - "Walk His Way"
2012 New CD by Mark Shelton "Among the Stars"
Very excited about the new CD, "Among the Stars'. This is a compilation of songs that were part of my concert tour last year. I tried to put a little music tribute to each of the artists that made these songs famous. So many great songs, it was a blast ! RadioIndy wrote on Mark Shelton's wall at facebook! RadioIndy is pleased to announced that we have published our CD Review of Mark Shelton music to Facebook. 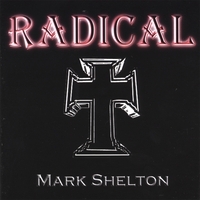 RadioIndy is pleased to announced that we have published our CD Review with Mark Shelton music to iTunes.com. FANS - Please checkout Mark Shelton iTunes page here and play / purchase some great new music! 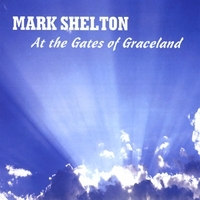 RadioIndy is pleased to present Mark Shelton with a GrIndie Award for the CD"At the Gates of Graceland"
RadioIndy is pleased to announced that we have published our CD Review of Mark Shelton's music to CD Baby. FANS - Please checkout Mark Shelton's CD Baby page here and sample / purchase some great new music! "At the Gates of Graceland" Reviewed by RadioIndy.com! Radioindy Review for Mark Shelton has been added to Myspace Music! ~and vote for me, then forward this request (with your recommendation) to all your friends and lists. Then have them do the same. Select each category and scroll to the name "MARK SHELTON" and vote. The categories that would apply here is Male Vocalist of the Year; Contemporary Artist; Rock Artist; and Jazz. Song of the Year is "King of All Life by Mark Shelton". It is my undestanding that people can vote as many times as they want. So if you could send a vote that would be appreciated, and again, as important if you could forward this to your friends (email, , etc) to listen and then vote (or just vote). The award ceremony is in Nashville at the end of March. I could really use your help and also from anyone else. So please pass it on and/or contact me with any questions. BEST INTERNATIONAL MALE CHRISTIAN ARTIST !!! Toronto's Exclusive Magazine Online has awarded Mark Shelton the 2007 "Best International Male Christian Artist". Toronto Exclusive Magazine presents the First Annual Toronto Exclusive Magazine Awards. T.E.M. is not only a publication on Canadian newsstands, but also a promoter of events focusing on the independent music and fashion industry. They welcome artists from all over the world that are gaining recognition and industry respect for their work and talent. Each Artist was critiqued and judged by the professional music staff at Toronto Exclusive Magazine and its music industry affiliates. "Tribal Nation" by Mark Shelton, is a CD loaded with uplifting spiritual numbers that command exaltation, praise and worship of God. The general musical compositions' blend and style, accentuate Mark's musicianship. Truly, Mark is a powerful Christian voice with an appealing musical artistry. This classic rock has a noticeable trace of Jazz to blues influences and a powerful lyrical foundation which inspires hope, faith and a reverential walk with the Lord. From its lyrics, one gathers that Mark is quite current with the Christian central subject. "The king of love" has a perfect blend of instruments and smooth-flowing vocals that pierce the soul with the message of love. It ignites in the heart, a longing for God's love. "The Lamb who was slain" is an adorable number which inspires worship and has a strong Jazz root with a fantastic display of drums. "Watch the Lamb" is lyrically contemplative, thought provoking and has an impressive play of piano. When you listen to "Secret grace" which has a classic feel, you will conclude with us that there is power in the vocal, infused by the Holy Ghost, that rejuvenates spiritual strength in the heart of the listeners. If you enjoy spiritually uplifting Christian classic rock, you will enjoy this CD. Pick a copy today. CD RELEASE AND CONCERT SET !